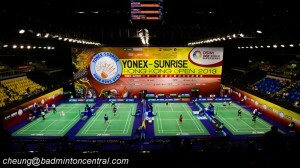 There are many youtube videos on badminton using mandarin. Let’s face it, trying to understand mandarin is a tricky business. Got a mandarin teacher? He or she might not be familiar with badminton terms. Perhaps you have difficulty understanding your mandarin speaking coach. 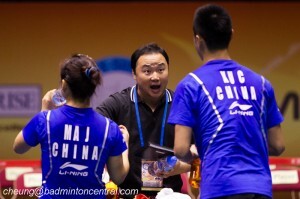 You might be trying to eavesdrop what the coach is saying to his players (picture). Are you a player hoping to do chinese interviews or chat with the fans? You might be a mandarin speaker wondering about the english equivalent of the terms. We hope this list of badminton terms can help you. Many thanks to Ben Newman in Beijing for the original translations.